Proper installation of rain pan & shroud can save you thousands of dollars in major renovation down the road. Pans that are made made too small allow water to pass between the pan and chase. The liner is the passageway in the fireplace or furnace flue through which gases and smoke travel in order to escape your home. 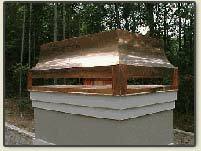 The liner separates the fireplace or the furnace system from the rest of your house. If your liner is poorly fitted or is leaking, we can replace it with the industry's leading liner products. 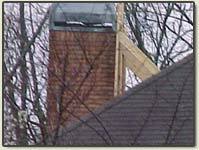 There may be several reasons to tear out and replace an existing prefabricated fireplace. Reasons range from water damage and deterioration to a desired conversion to gas. Our chimney experts can replace the old one and keep the integrity of the original fireplace or they can swap the hearth as well.